Spitfire’s first dry scoring stage ensemble library, inspired by the electric genius of Bernard Herrmann. Renowned for his groundbreaking scores including Citizen Kane, Journey to the Centre of the Earth, Psycho, Vertigo and Taxi Driver, his legacy continues to inspire the work of composers today. 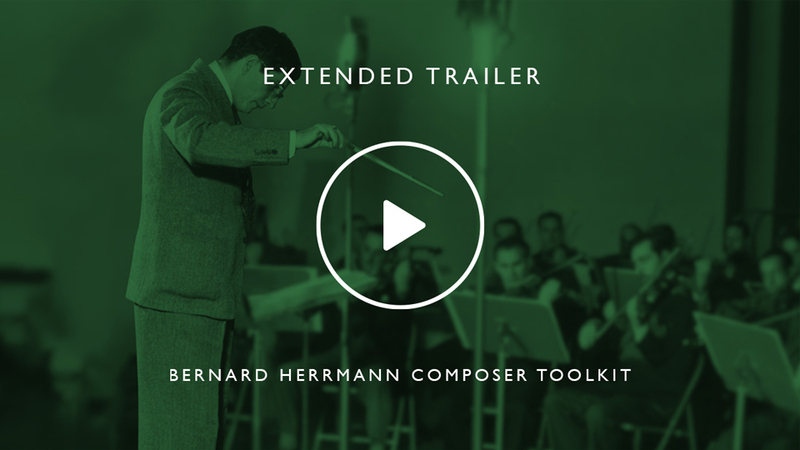 We’ve worked exclusively with Bernard Herrmann’s estate to curate and assemble a unique set of studio orchestra ensembles, informed directly by the composer’s legendary orchestration aesthetic. Recorded at Studio 1 Air Lyndhurst by Simon Rhodes (Avatar, Grand Budapest Hotel, Spectre, Harry Potter, There Will Be Blood), we’ve captured players performing as Herrmann would have had them – boisterous, lively and upfront, with patches featuring selected groups, unusual instrumental combis, chords, effects and much more. 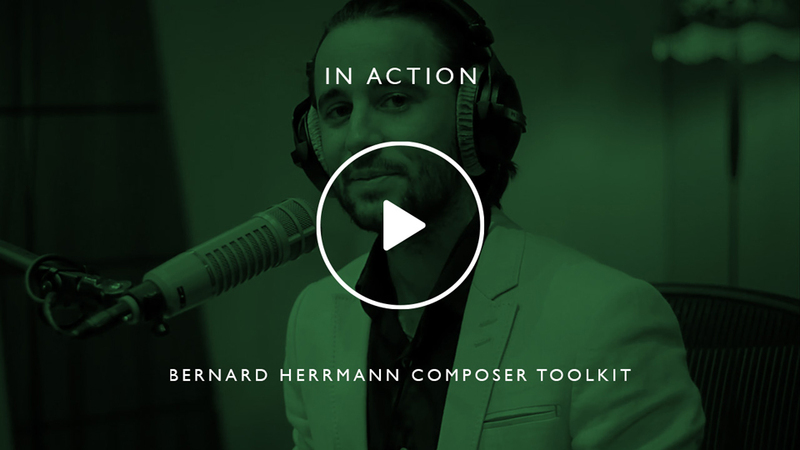 Fire-up this versatile Toolkit for lively and distinctive scoring. 146.6 GB download size Too large to download? Choose hard drive delivery at checkout. This isn’t an ‘old style’ library. 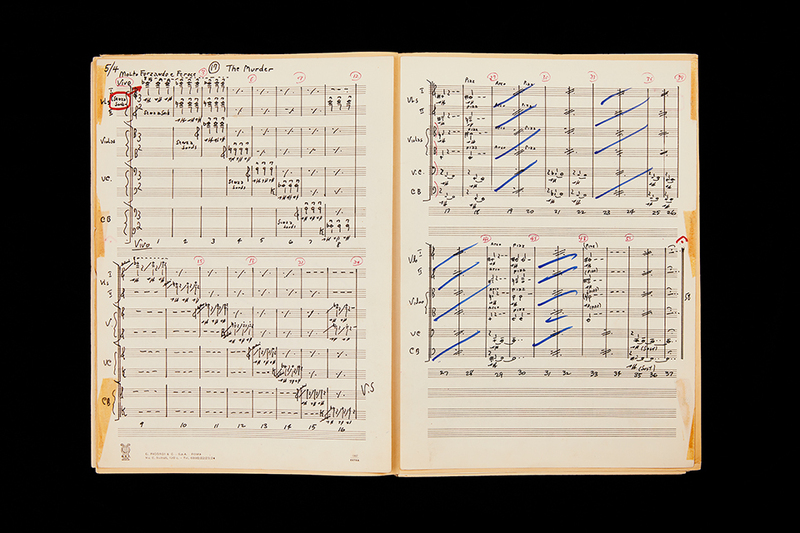 We’ve worked closely with the Herrmann estate to examine his most famous scores and understand what makes his work so special. 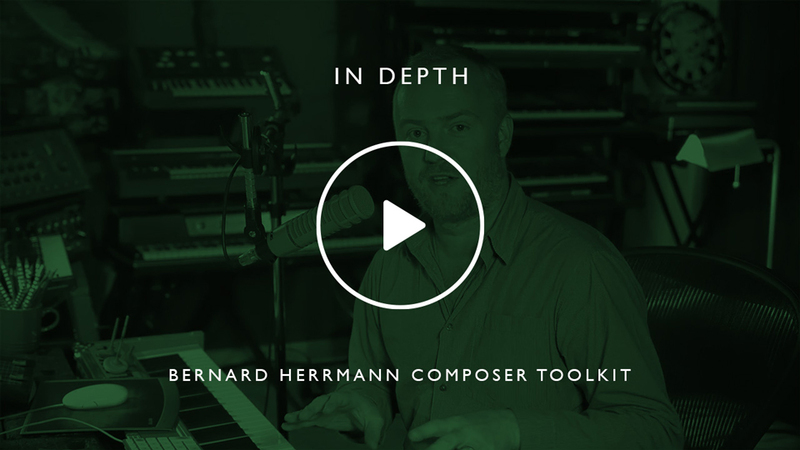 With that in mind, we set about curating a unique series of recording sessions in order to develop a modern library that captures the levels of vitality that you’d expect from a Herrmann score, but that works across genres/projects. Recorded at Air Studio 1, this toolkit packs an almighty punch; it offers a studio orchestra, combinations such as trumpet and xylophone, trombones and timpani, low strings and horns, harp and vibraphone, plus an ondes Martenot, synths, percussion, timpani and much more. Bernard Herrmann is one of the great modern composers. His work for TV and film is nothing short of iconic, and is truly synonymous with mid-20th Century cinema. Collaborating with Orson Welles on Citizen Kane, Martin Scorsese on Taxi Driver, and in long-term partnership with Alfred Hitchcock for scores such as Vertigo, Psycho, The Birds, Marnie and beyond, the sheer magnitude of critical works produced is breathtaking. Not only did his work cause significant impact on culture at the time, but more recently those works have been used to invigorate contemporary scores, for example the use of the Twisted Nerve theme in Quentin Tarantino’s Kill Bill - an eerie whistle which is now instantly recognisable worldwide. Herrmann had a unique and trailblazing compositional style. His orchestrations were entirely original, daring and inventive; always appropriate for the context and subsequently incredibly influential in film scoring (Psycho is an obvious example of a totally new way to score a thriller). The bold selection of specific instrumental ensembles (his Psycho score was famed for being strings-only, and the infamous Torn Curtain featured 12 flutes) and choice of interesting combinations (harp and vibraphone in Vertigo, stopped horns and pizzicato strings in North by Northwest) challenged the status quo. Equally his experimentation of electronic instruments in scores was pioneering - the ondes Martenot in The Day The Earth Stood Still and amplified Moog synths in Sisters/Endless Nights brought sounds previously unheard to cinemas. He also went as far as to effect change in the performance style of players, requesting that players not play in the traditional, somewhat overblown nature that other Hollywood composers would traditionally employ. He had a limitless curiosity and love of new music, championing the careers of several composers who became household names as a result of his hard work. His work as conductor of the CBS Symphony Orchestra, and the many radio broadcasts he made with them, helped to bring a huge and often little heard variety of music to a wide audience. His was a truly individual voice and he stood firm against what he saw as the dilution of the art form and he continues to be massively respected and influential among film composers today. So, of course, when the opportunity arose for Spitfire Audio to collaborate with his estate, we crumbled with excitement. 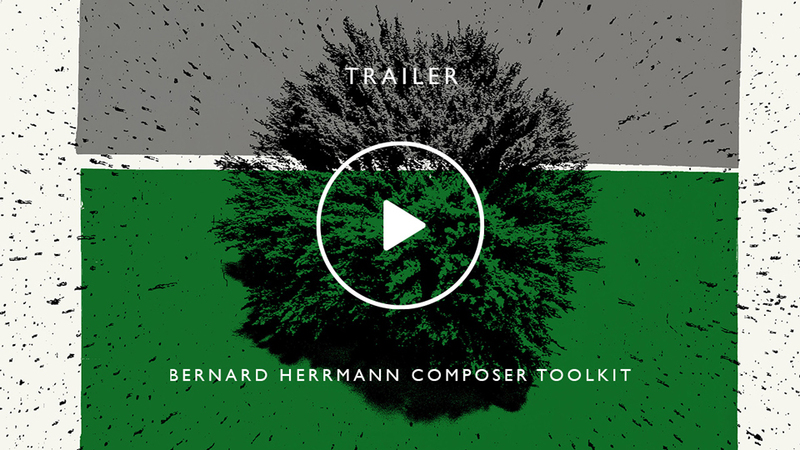 We hope to have developed a unique library that provides working composers with a broad variety of new sounds and possibilities, albeit rooted in the genius of Herrmann and his approach to film scoring. Bernard Herrmann's 'The Murder' from Psycho. This is the main interface for melodic instruments. Its default view displays all available playing techniques, has a simple microphone mixer and includes the main feature controllers. This view allows further in-depth control of the instrument, showing all available signals and feature controllers, as well as the ability to purge techniques from memory to reduce system usage. In this view you can add notes to a pattern sequencer, select which key it triggers on and then play for instant ostinato creation. It’s like an arpeggiator on a synthesiser. 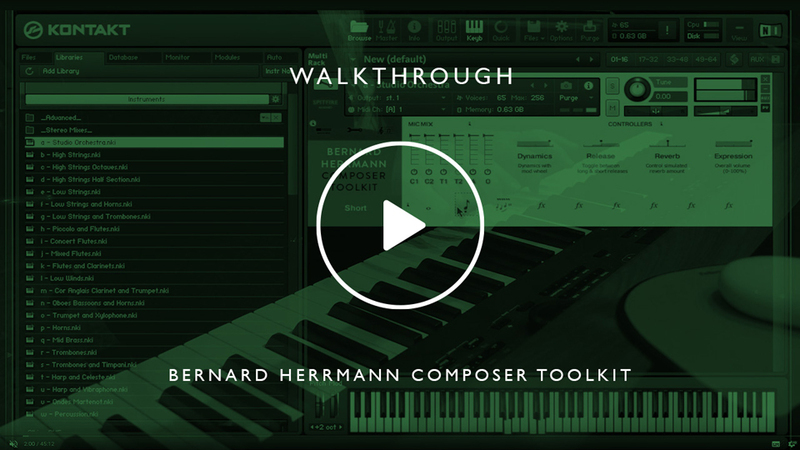 Included in the “advanced” folder are over 30 synth patches inspired by Herrmann’s use of sythesisers in combination with orchestral material. These can be controlled using our Mercury Synth GUI. It is an ingenious user interface that allows you to have instant fun without having to roll up your sleeves and go under the Kontakt hood. All of the controls are assignable to your control surface giving you the immediate ability to make our sounds your own.